Heat gas or charcoal grill. In small bowl, mix butter, cilantro, honey, salt, chipotle chile and adobo sauce; set aside. Brush corn with 1 tablespoon oil. Carefully brush oil on grill rack. Place corn on grill over medium-high heat. Cover grill; cook 10 to 12 minutes, turning occasionally, until corn is tender. Serve corn with butter mixture. 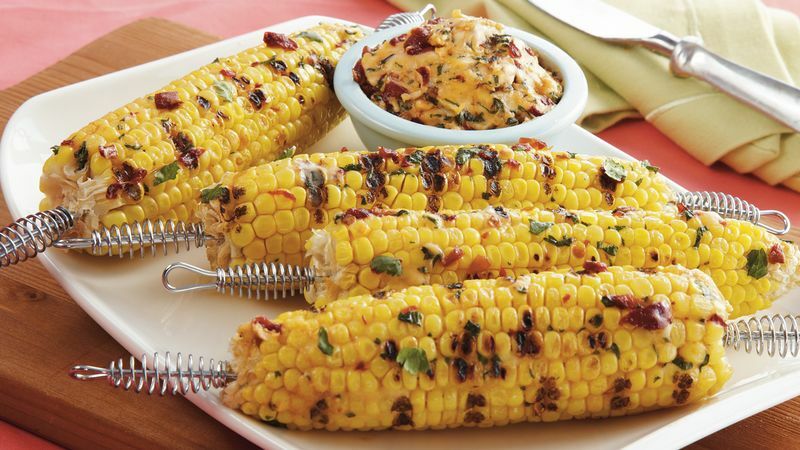 Chipotle chile adds a smoky hint to the butter that flavors this corn on the cob.